Born in Lithuania, he emigrated to the United States after 1918. He first came to Winnipeg in 1935, at the request of the International Ladies Garment Workers Union to organize the city’s garment workers. He helped to organize the Winnipeg Needle Trades Council, and was the Canadian organizer of the International Ladies’ Garment Workers Union. After the Second World War, Herbst travelled to displaced persons camps in Europe to recruit employees for the local trade. He called it the most heartbreaking thing he ever had to do. 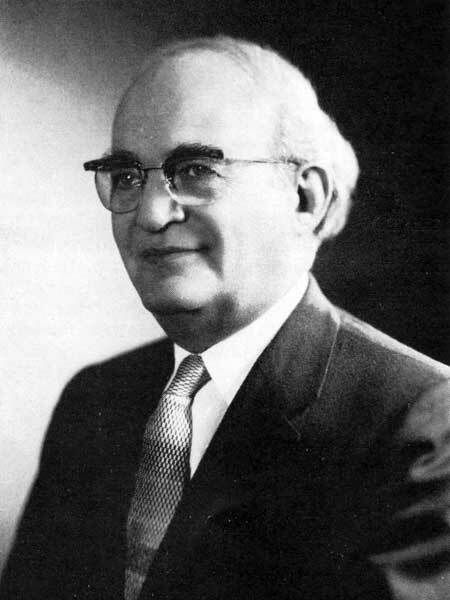 In 1947, as business manager for the 1500-member union, he was the driving force behind a unique “welfare and sick fund” into which 15 employers paid the equivalent of five percent of their total payroll and employees paid another one percent. The fund covered holiday pay, medical services though the Mall Medical Clinic and hospitalization costs for employees and their families. The scheme was seen as a model of industry-union relations. In 1958, to celebrate his 25 years with the union, the Mall Medical Group, his union and the garment factory owners funded a $200,000 youth centre in Rehovot, Israel that was named for him. He died at his Winnipeg home on 14 June 1960 and was buried in Shaarey Zedek Cemetery. “Cloak men hail success of sick benefit scheme”, Winnipeg Free Press, 6 January 1950. “Israeli youth centre planned as tribute to Sam Herbst”, Winnipeg Free Press, 30 October 1958. “Needle trade leader, Sam Herbst, is dead”, Winnipeg Free Press, 15 June 1960, page 28. “Union leader Samuel Herbst is buried”, Winnipeg Free Press, 17 June 1960, page 15.